This is a simple go-to salad with a great combination of sweet and tart tastes. 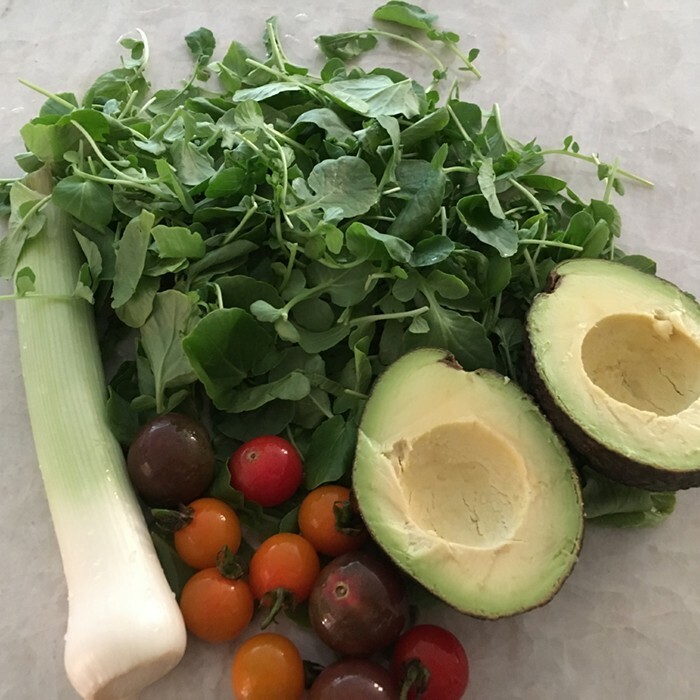 Watercress has tremendous nutritional value, packed with numerous vitamins, minerals and phytonutrients – truly, you can’t get enough of this delicate green. Wash and pat dry the watercress (I always include the stems, chopped fine). Peel and slice or dice the avocado (your preference). Chop the scallions, including all of the green. Halve or quarter the cherry tomatoes. Dress with your favorite dressing (mine is to whisk together olive oil and lemon juice), toss and serve. The avocado gives this salad a great creamy texture. This is an easy salad to serve with any meal. You can add anything to it - I'll sometimes add chopped pumpkin seeds, sunflower seeds or nuts - it's always good to mix it up!